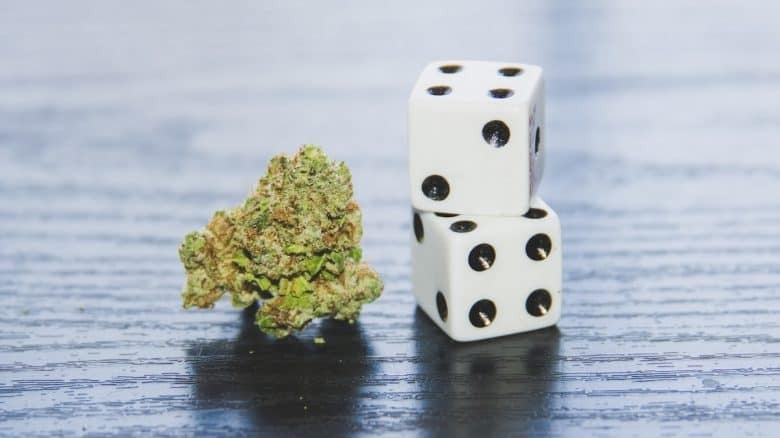 With the use of medical marijuana gaining widespread acceptance and legislation of recreational marijuana being relaxed in numerous countries, the marijuana industry is the latest hot sector in the stock market. However, investing in marijuana stocks is not as simple as buying the top performing cannabis stocks. 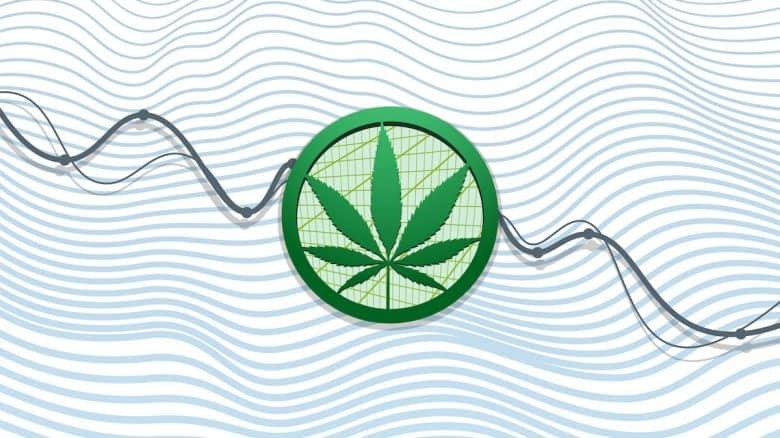 The industry still faces several challenges and a rush by investors to buy cannabis stocks has led some stocks to trade at very high valuations. This guide will give you an introduction to the cannabis industry. 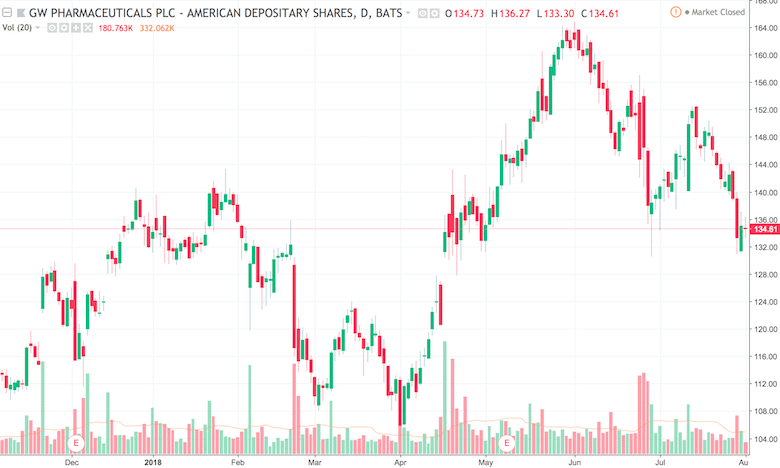 It covers the types of companies in the sector, the risks to investing in marijuana stocks, and an overview of some of the best marijuana stocks to invest in. It’s not often that a brand new industry appears on the scene. Marijuana has been cultivated and consumed for thousands of years. However, for the last hundred years the cultivation and consume of cannabis has happened illegally. Because the industry has been illegal in most countries until recently, there have been no opportunities to legally invest in the marijuana industry either. This is now changing rapidly, opening up new opportunities. In the US the use and cultivation of cannabis is still illegal at the federal level. However, the use of medical marijuana with a prescription is now legal in 31 states, while 9 states have legalised the recreational use of marijuana. The bigger news in the last 12 months has been the legalization of recreational marijuana in Canada. The Cannabis Act was passed by the Canadian Senate on 21 June this year, and will come into force on 17 October. Global spending on legal cannabis is expected to grow from $16.6 billion in 2017 to over $63 billion by 2024. As a result, investors are rushing in to stake a piece of this new industry. The 7 largest pure play cannabis stocks are all up over 80 percent in the last 12 months. It is widely expected that in time more countries, including the US, will relax the laws governing medical and recreational cannabis. The expectations for a massive new marijuana industry is driving investment and stock prices. The cannabis industry is opening up many new investment opportunities. Before looking for marijuana stocks to buy, it’s worth knowing the different types of companies in the cannabis industry. Smaller companies tend to focus on one part of the value chain, while the large companies do everything from growing, to processing and retailing marijuana leaf, oil, edibles and other accessories. Firstly, we have the growers or producers. There are now hundreds of companies in the US and Canada growing cannabis for the medical and recreational marijuana market. Most of these are very small unlisted companies, some are marijuana penny stocks, and a few are very large listed companies. Most of the largest listed marijuana companies can be regarded as medical marijuana stocks because most of their revenue comes from that market. However, these companies are getting ready to supply the recreational market too. Then we have pharmaceutical companies that do R&D to find cannabinoid compounds with medical benefits. Some of these are companies that focus solely on marijuana, while others are traditional pharma and biotech companies that happen to be working with marijuana too. Finally, we have what are called ancillary companies. 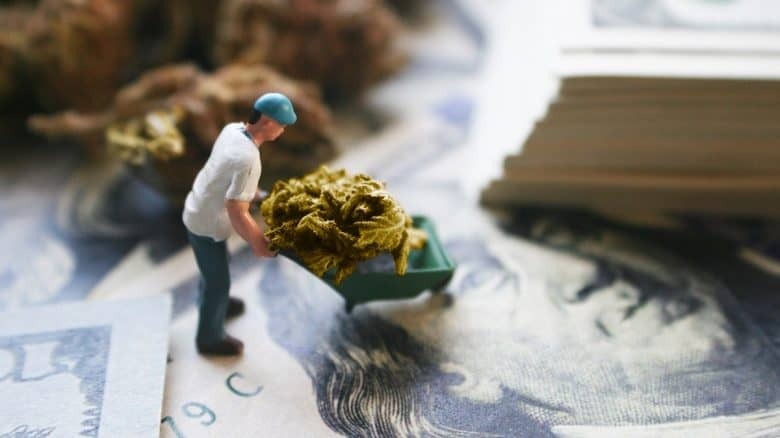 These are the companies that provide services to cannabis companies, including financing and banking services, equipment and fertilizer, and packaging solutions. The latest companies in this group are real estate companies that lease land to cannabis producers. While the potential for the marijuana industry is enormous, the industry also comes with several risks that investors should be aware of. Firstly, there are the political and legal risks. 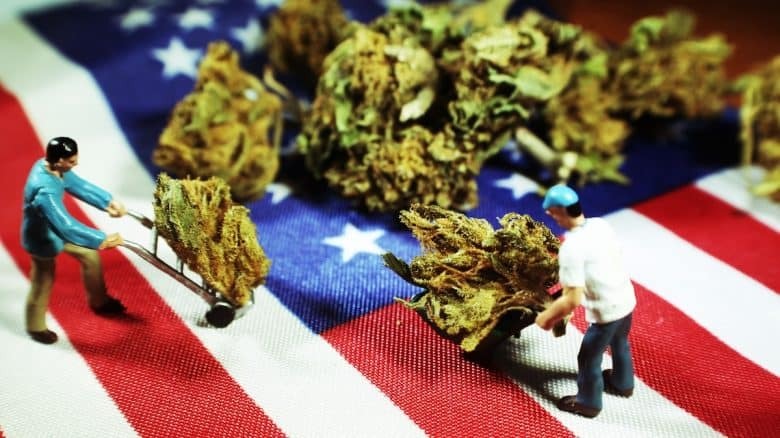 The federal government in the US could choose to make things very difficult for marijuana companies, although it may find doing so politically difficult. Much of the world will follow the lead of the US when it comes to legislation, so this is important to the entire industry. The tide is flowing in the direction of legalization, but it’s not impossible that it could reverse. 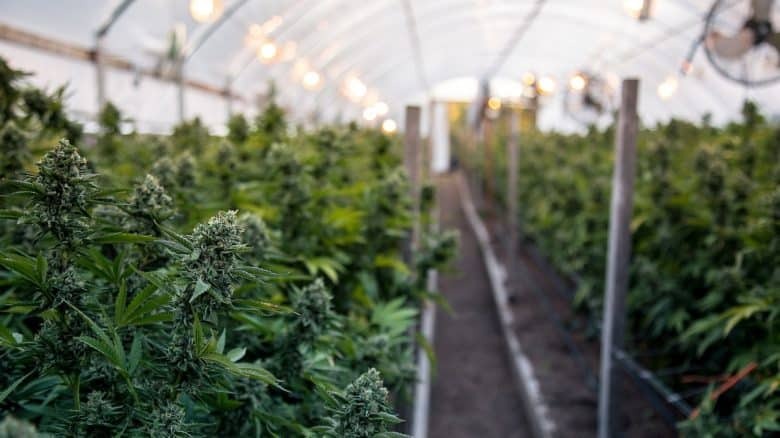 Margins in the marijuana industry have been high until now, but in time marijuana will become like any other agricultural commodity with tight margins. Many of the small companies that initially made big profits are already struggling to break even. However, companies producing edibles and cannabis oils are still able to add value and make higher margins. This is something cannabis investors should look out for. Because marijuana is still illegal in the US, pure play cannabis companies have not been able to list on the major stock exchanges. This has led several companies to allow their shares to trade on “over the counter”, or OTC markets. 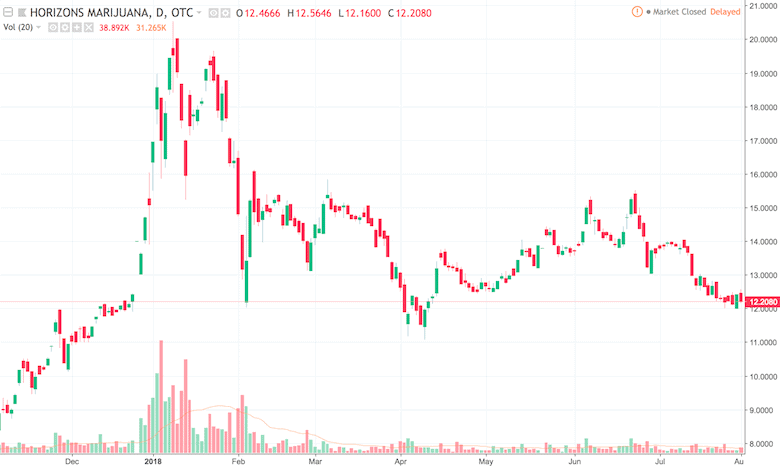 Companies trading on OTC markets are not subject to the same scrutiny as publicly traded cannabis stocks, and as such investors should be aware that they carry more risk. Because marijuana is still illegal at the federal level in the US, many companies face operational problems. They cannot open bank accounts, they struggle to get insurance and they cannot use tax deductions like most businesses do. For this reason, much of the industry is based in Canada while awaiting a friendlier environment in the US. Valuations in the cannabis industry are very high and many of the companies in the industry are burning cash at an alarming rate. At some point investors are going to want to see results before investing more cash in these companies. This will be the moment of truth for cannabis stocks. The marijuana industry is likely to see substantial consolidation in the coming years. That means, the best companies will buy up the best assets, while smaller companies with weak business models may go out of business. There are therefore two types of weed stocks to look for. The first are the market leaders that are likely to survive in the long run. The second are smaller niche operators that are potential acquisition targets for the larger companies. The marijuana stock market tends to be very volatile, with strong rallies followed by large pullbacks. It’s best to avoid getting sucked in by the hype and sense of FOMO (fear of missing out) that tends to occur during the big rallies. Rather wait for a meaningful pullback and then buy the best marijuana stocks when the uptrend resumes. Sometimes you can consider buying potential acquisition targets during market rallies. Rising stock prices does sometime prompt large companies to make acquisitions if they are worried that the price will rise even further. There is still considerable risk in doing so, so you need to do your homework before buying these stocks. The other major consideration is market capitalization. Generally smaller cannabis stocks are riskier. Stocks with a market value of less than $250 million should be considered very risky. Stocks valued between $250 million and $1 billion, are a little safer, while those above $1 billion are considered the blue chips in the industry. The other factors to consider are management quality and cash. 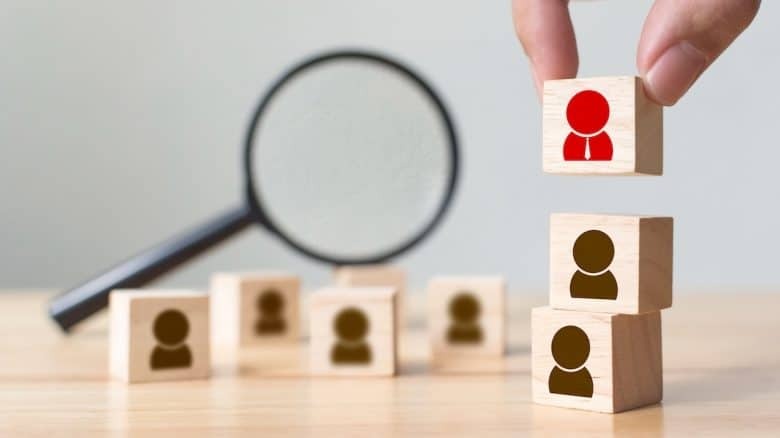 You should only invest in companies with experienced management with solid track records and strong governance in place. If a company is running low on cash, it’s important to be aware of how likely shareholders can buy new shares if they are issued to raise capital. 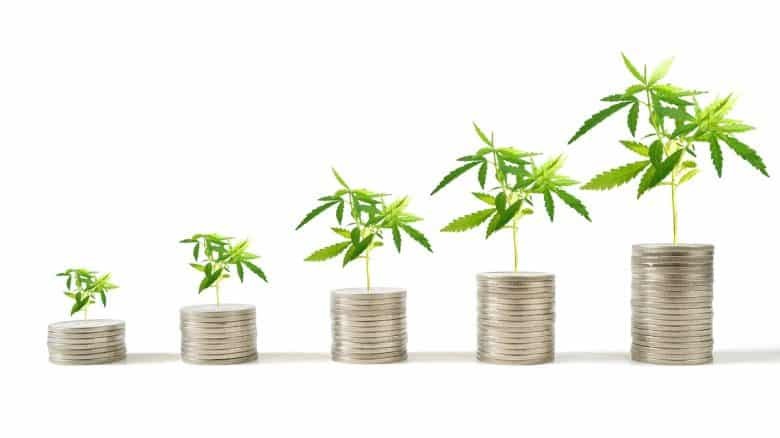 The following are some of the top cannabis stocks to consider. 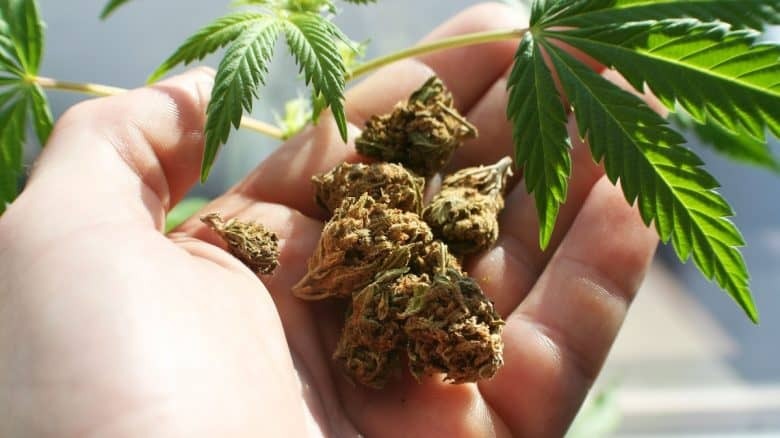 There are over a hundred other marijuana stocks to consider, but these are the market leaders and it’s a good idea to hold a few of them as a core portfolio. The best pure play marijuana stocks are in Canada, while US listed companies are more diversified or provide services to the industry. 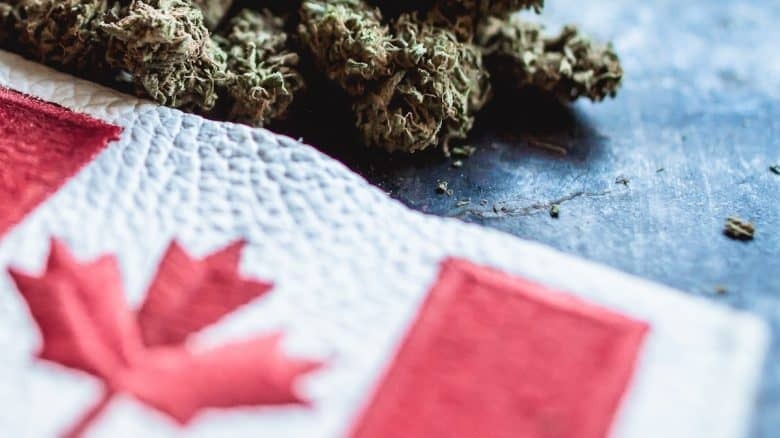 Now let’s start our overview with some of the best canadian marijuana stocks. Canopy Growth is the largest cannabis company in the world. It is involved in growing, processing, sales and marketing of recreational marijuana, medical marijuana and hemp. The company owns numerous brands and retail outlets, as well as growing facilities and processing plants. As a market leader in the marijuana industry, Canopy Growth has managed to sign partnerships with several leading global pharmaceutical companies and other related brands. Because of its popularity, it usually trades at a premium, and there are concerns about its ability to deliver on the market’s expectations. Therefore, investors may want to wait for a substantial correction before investing. 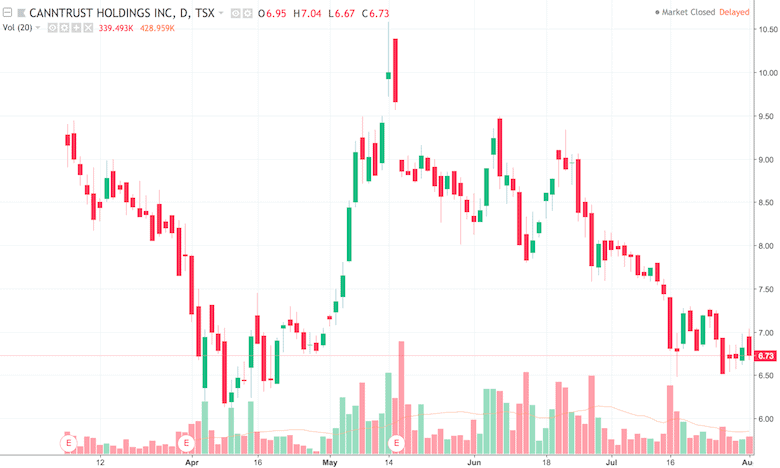 Aphria is another significant Canadian producer of medical marijuana. The company has invested heavily in technology to extract THC from cannabis using a variety of techniques. Aphria recently signed a distribution deal with Shoppers Drug Mart to sell its products online. 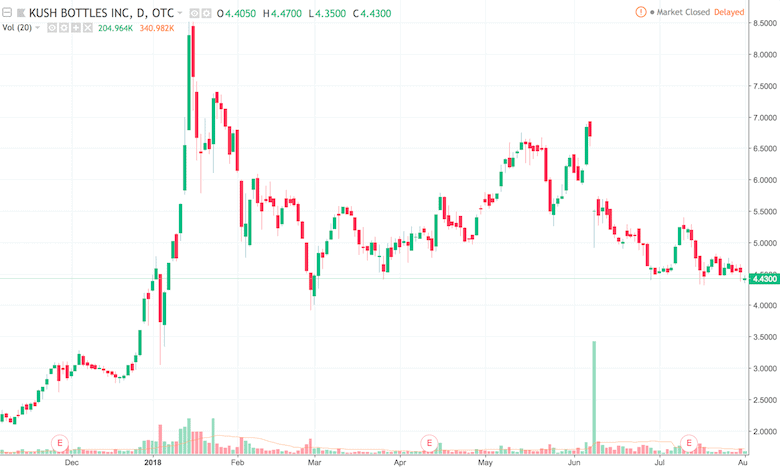 Aphria also recently acquired Scythian Biosciences which gives it exposure to Colombia, Argentina, and Jamaica. The company now has operations in 10 countries across five continents. 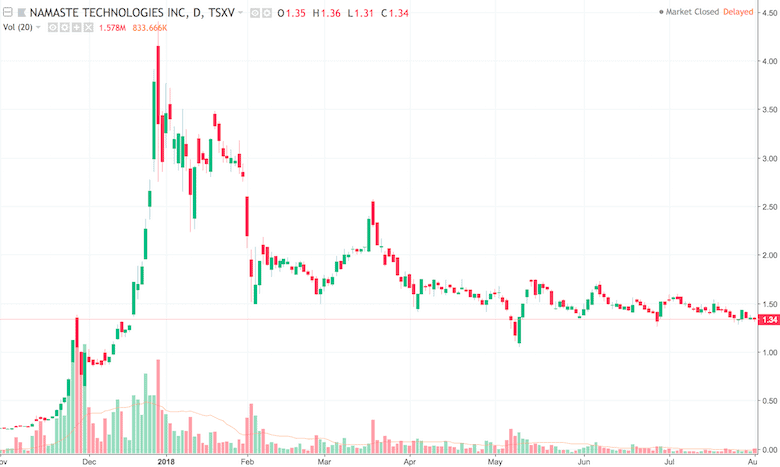 Aphria is very well managed and has focussed on organic growth. It is a solid stock to include in a portfolio for the long term, and may benefit as marijuana legislation is relaxed around the world. Aurora is the the world’s second largest cannabis stock. It is also one of the world’s largest producers, and will soon have capacity to produce 240,000 kgs of cannabis a year. The company recently acquired MedReleaf for $2.5 billion, the largest deal in the cannabis industry to date. Aurora also acquired Mannimed earlier in 2018 and owns stakes in prominent German and Australian cannabis businesses. Aurora is well positioned to move into the US market if marijuana is legalised at the federal level. CannTrust operates as pharmaceutical company, producing medical marijuana and developing products made with cannabis. It has built a successful ecommerce platform and provides ongoing support and education for patients. 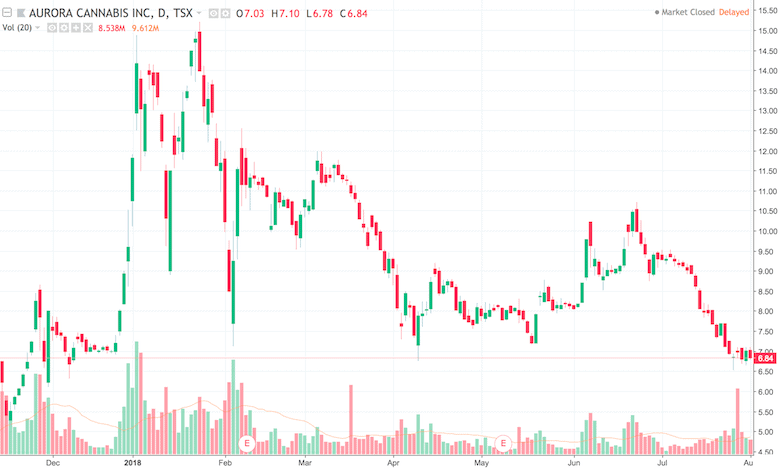 CannTrust is one of the few cannabis stocks that is actually turning a profit, and a large portion of its revenue comes from higher margin extracts. 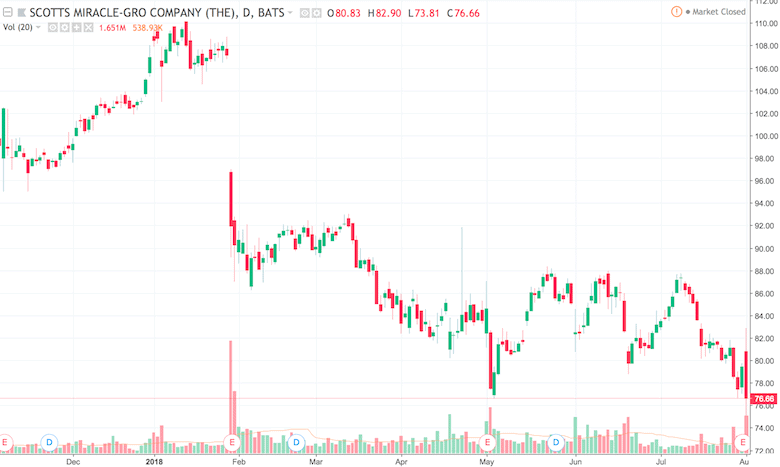 While the stock is expensive, it is a solid company and worth watching. Namaste started out as a manufacturer of vaporisers and other accessories, but has now moved into the retailing of medical marijuana products. The company has invested heavily in an AI powered patient portal, and already has 6,000 registered customers. Namaste has ambitions for global expansion and has already entered into a joint venture in Israel. 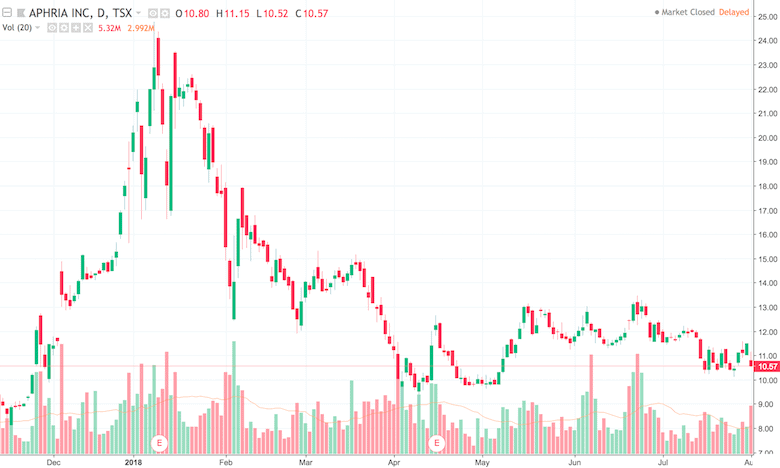 If the use of medical marijuana around the world grows, this is a stock to watch. Cronos Group was the first pot stock to list on the Nasdaq, although the company is based in Toronto. Cronos grows medical marijuana for both the Canadian and global market. The company has supply contracts with large pharmaceutical companies in Germany, Israel and other countries. In March Cronos signed a deal with MedMen, the largest cannabis brand in the US. The deal will see the two companies opening retail outlets in Canada, expanding Cronos’s distribution capability. The deal will also put Cronos in a strong position if recreational marijuana is legalised across the US. Organigram is a producer of medical marijuana and cannabis oil. The company only has one growing facility, but has managed to increase its yield to impressive levels. 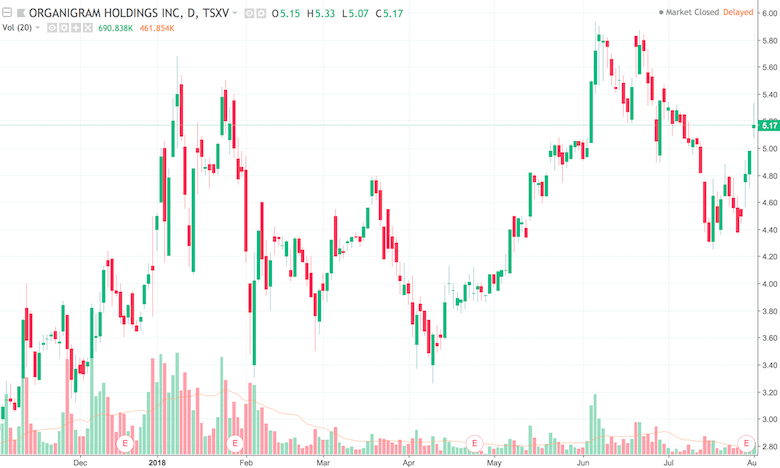 Organigram is also one of the most profitable cannabis stocks and is well managed. 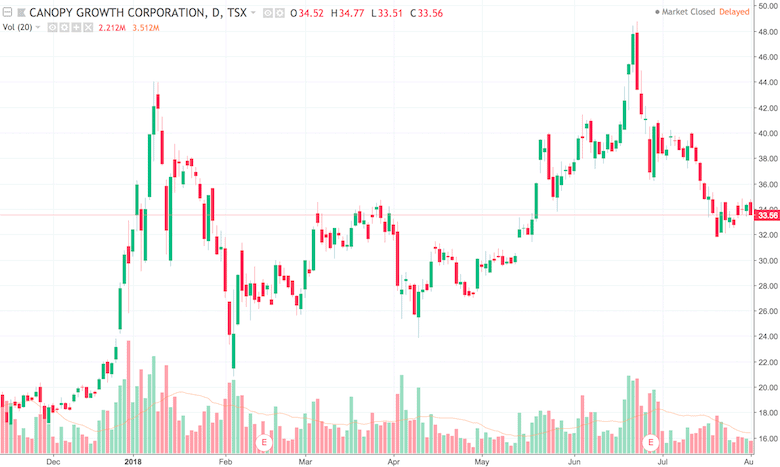 As a smaller producer with solid financials, Organigram may become an acquisition target as larger companies look for quality assets in the industry. Most of the US based cannabis related stocks are pharmaceutical stocks with exposure to the medical marijuana industry. Other pot stocks are in related industries like agriculture and real estate. 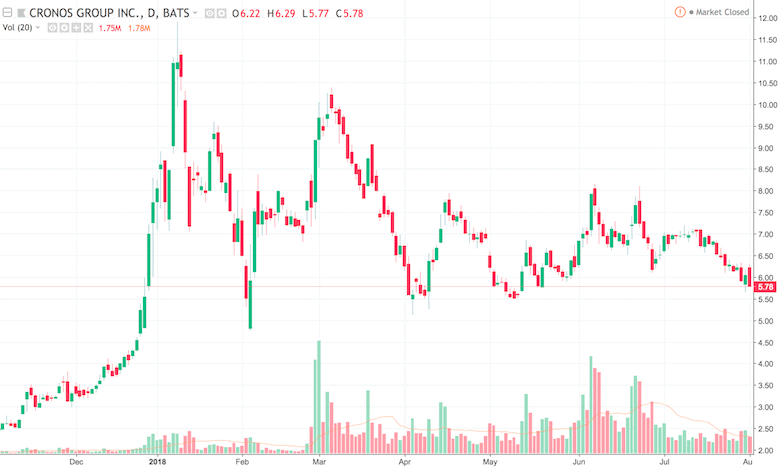 US listed Scotts Miracle-Gro is a slightly different type of cannabis stock. Historically the company is a manufacturer and distributor of lawn and garden products which was originally established in 1868. More recently it has moved into the marijuana business through two subsidiaries that supply equipment and fertilizer to marijuana farmers. Scotts Miracle-Gro is well positioned to benefit from growth in the cannabis industry, but is also well diversified in other areas. The company is also well capitalised and will be able to make acquisitions in the future. Scotts is one of the most defensive ways for investors to gain exposure to the industry. GW Pharmaceuticals is based in the UK but listed as an ADR on the Nasdaq. The company is a leading cannabinoid-based drug developer. 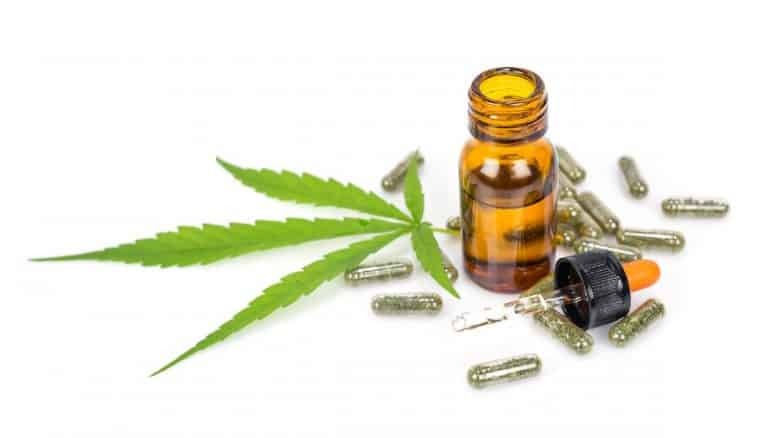 GW Pharmaceuticals recently became the first company ever to have a cannabis-derived drug (Epidiolex) approved by the Food and Drug Administration (FDA). The medicinal potential of cannabis has been held back for decades, and we could potentially see companies like GWPH finding numerous applications for it in the next decade. And, as margins in the broader marijuana industry come down, pharmaceutical companies like GWPH may become the most profitable segment of the industry. Kush Bottles supplies packaging solutions to the cannabis industry, and markets its own range of vaporisers. Although legislation is being relaxed for cannabis stocks, the industry is still heavily regulated. Therefore, companies need to make sure their packaging complies with a range of laws. Kush Bottles is well positioned to benefit from industry growth without carrying all the risk that goes with the individual producers. 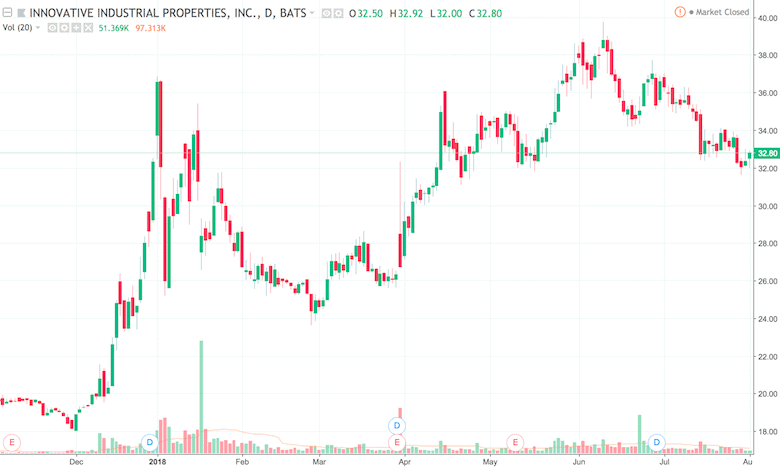 Innovative Industrial Properties is a real estate investment trust (REIT) specifically focused on the cannabis industry. IIPR owns facilities for the growing and processing of medical marijuana which it then leases to growers and producers. IIPR offers investors a way to gain exposure to cannabis stocks, while earning income at the same time. If you would prefer to diversify your investments in cannabis stocks, an ETF may be the way to go. These ETFs are weighted by market cap, and therefore hold the top marijuana stocks and marijuana related stocks by default. The Horizons ETF trades on OTC markets, but is often considered the best ETF in the sector. The fund invests in North American medical marijuana stocks and has $716 million under management. The Alternative Harvest ETF is a better bet for investors who prefer ETFs listed on exchanges. This ETF does also hold tobacco related stocks like Altria. The fund has $346 million under management. The marijuana industry is like most new industries. Numerous entrepreneurs are trying to get in early and establish market share. Those cannabis companies that win will be worth a fortune in the long run. 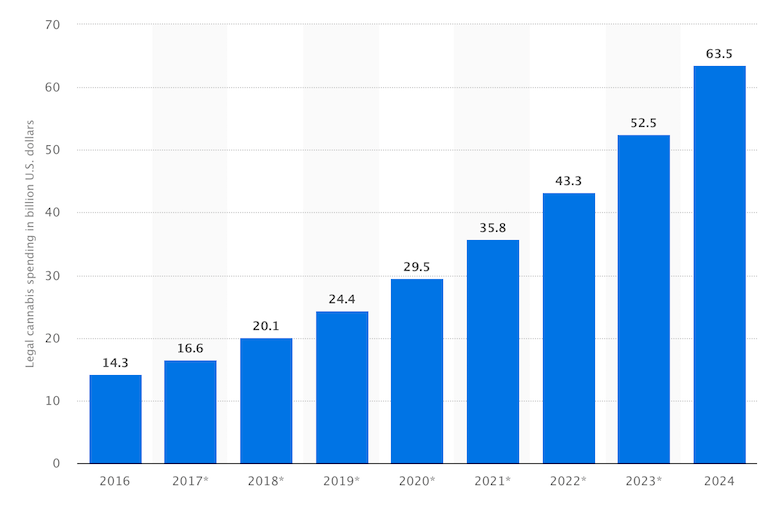 However, as the industry matures, it will consolidate. Small marijuana companies with poor business models will go out of business and the large well managed businesses will buy up the best assets. 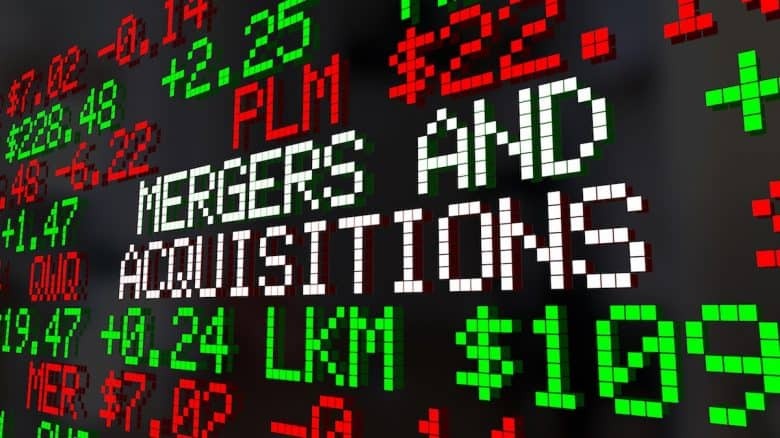 Along the way there will be lots of acquisitions and mergers as companies try to achieve economies of scale. The industry is already burning cash rapidly, and at some point, the money will run out. You should therefore be very careful buying cannabis stocks in companies that are highly leveraged. In summary, the marijuana stocks to buy are those that are market leaders, with strong management and strong balance sheets. There will be plenty of volatility in the coming years. Investors will be rewarded for being patient and waiting for the buying opportunities that volatility creates. What are your thoughts on weed stocks? Please let us know in the comments below. 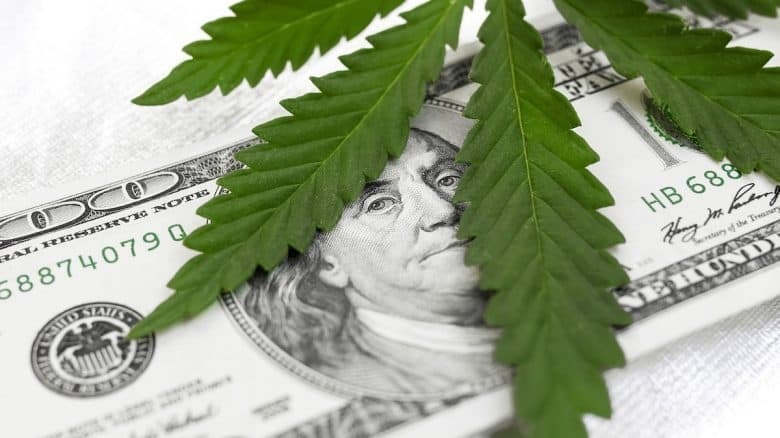 With a dividend yield of currently 5%+ Innovative Industrial Properties (IIPR) looks promising, especially for income investors who want to generate passive income while participating from the marijuana industry. 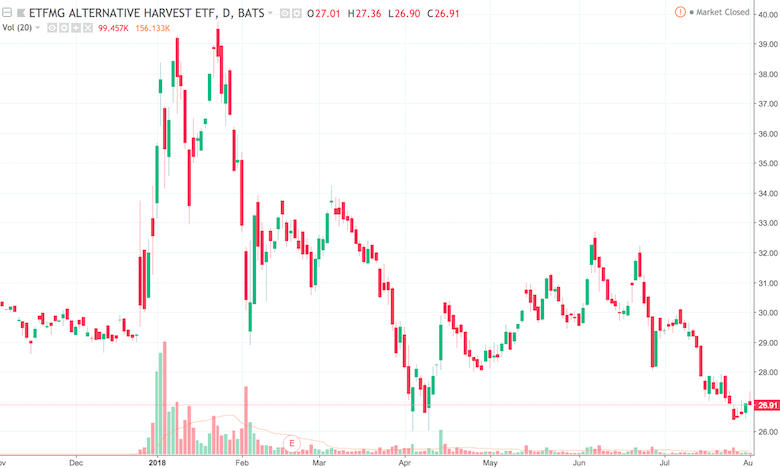 Apart from that, if you prefer investing in traditional businesses while still participating from the marijuana industry, you could for example look into Heineken (HNK1) and Constellation Brands (CB1A). Both companies are working on cannabis beverages while the risk is limited through their solid traditional business models.